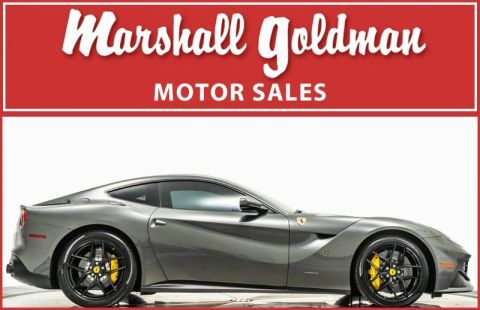 We have just added to our extensive exotic car inventory a beautiful 2014 Ferrari F12 Berlinetta in Rosso Maranello with Cuoio and Nero leather interior and only 5,900 miles. 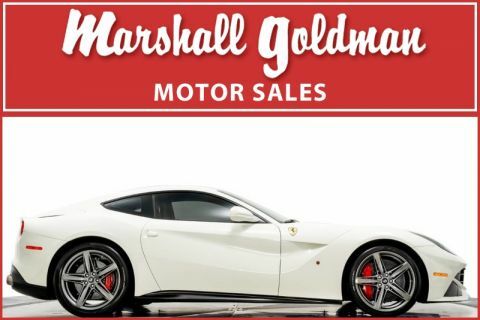 This F12 is loaded with: Navigation, full electric seats, dual color leather interior, cavallino stitched in headrests, carbon fiber and leather steering wheel with LEDs, special features, contrast stitching on steering wheel, seats and dash in Cuoio, leather headliner in Nero, cruise control, front and rear parking sensors, auto dimming mirrors and Homelink transmitter, bicolor floor mats, F1 transmission, ceramic brake system, yellow brake calipers, red rev counter, Scuderia shields, wheels in graphite and more. The original MSRP was $356,571. Family owned and operated, Marshall Goldman Motor Sales and Leasing has been pairing the best in luxury automobiles with discerning customers across the globe since 1978. Every car we offer is owned by us and is on site in our massive 40,000 square foot indoor showplace. Call us today and find out what legions of satisfied customers already know: Our staff's professionalism and our unparalleled inventory offer a buying experience unlike any other. Buy the best, from the best!